Harmeet, a gentleman from Reading, had a brother-in-law named Raj. Harmeet had a dream of giving back to society, after working in the harsh, money focused, corporate world. He didn’t know where to look until he had a chat with a friend who had recently become a franchisee of a music school. 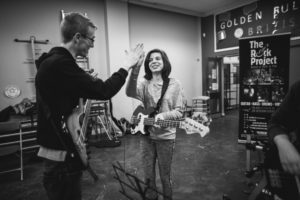 After speaking to said friend in detail about this music school, Harmeet loved the idea of how learning a musical instrument can be done in a hugely fun and practical way – by playing in a band after receiving tuition! He felt hugely encouraged and excited that something like this existed, mainly because he knew his two sons, Raj’s nephews, would love something like this. 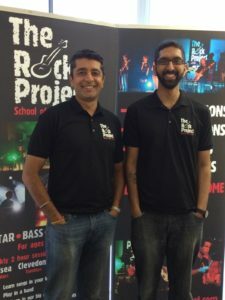 You guessed it, this music school was The Rock Project and after some more conversation with his friend, Harmeet became extremely interested in the concept of opening up his own Rock Project franchise with Raj. Now, Harmeet had never picked up an instrument and was a self-confessed non-musician with no knowledge of music, let alone having the ability to teach it! But he knew that with the musical talent that Raj possessed, and his own experience and knowledge of business, Harmeet had a feeling that this was the perfect package to make the franchise work. Everything was agreed and signed in the summer of 2015 which meant The Rock Project Berkshire was officially in existence. 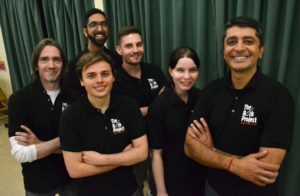 The opening of the first FOUR schools (junior & senior sessions) in Thatcham, Wargrave, Burghfield & Tilehurst happened that September of 2015, and Harmeet and Raj – the dream team – never looked back. Once it started, they couldn’t stop. The student count kept growing where there was room, if not the waiting lists grew! Reaching the end of that academic year, The Rock Project Berkshire, 4 schools wide, had a successful first year. The tutors were proving to be a reliable and impressive team and the students utterly loved them. The first Summer Concert in July 2016 was a wonderful success, with family and friends enjoying a fantastic weekend of music brought to them by their very own children. A summer off? Surely not! Whilst all of the above was going on, Harmeet, being the visionary he is, never stopped at 4 schools with just junior and senior sessions. He and Raj worked hard over the summer ensuring the opening of Bracknell, Woodley, Windsor, Maidenhead & Caversham schools for September 2016. Two of these schools included Encore (adult sessions), as well as the standard junior and senior sessions. Along with these plans, this brought on the recruitment of more tutors as well as an admin assistant to help with all the extra work. 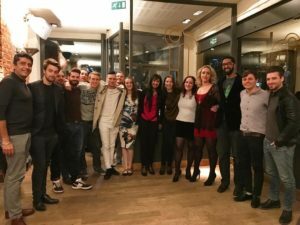 The team was growing! The student count was growing! More and more people were being brought to music. This was the dream. Listening to music has so many positive benefits to our brains and can be used as part of brain training. Take, for example, our memories. How many songs evoke special memories in your mind or how many songs are you able to recite word for word, but you struggle to remember what you did last week?! Learning and remembering songs is proof of the positive impact music has on the brain. We teach children songs to help remember the colours of the rainbow, the alphabet, numbers, how to do something and these songs stick. Just think of the numerous nursery rhymes you can recite at a moment’s notice. You may even catch yourself creating a song in your head to remember something! Listening to and playing music is a unique and powerful way to exercise your brain and, a recent study by Daniel Levitin and colleagues, from the Department of Psychology at McGill University in Montreal Quebec, published in the journal Trends in Cognitive Sciences, reveals that our brains actually release dopamine when listening to or playing music. However, this is the first time that music has been associated to the same degree. One of the studies focused on patients who were about to undergo surgery. Participants were randomly assigned to either listen to music or take anti-anxiety drugs. Scientists tracked patient’s ratings of their own anxiety, as well as the levels of the stress hormone cortisol. The results concluded that the patients who listened to music had less anxiety and lower cortisol levels than those patients who took the drugs. This is certainly something we can all probably relate to. How many times have you put music on to calm yourself down or distract yourself from worries? Indeed, patients are often given music to listen during procedures in order to keep them calm and distracted. Have you ever wondered why you like certain pieces of music? In a separate exercise of the same study, 19 participants listened to 60 different unknown songs while being monitored in an MRI scanner. One of the brain areas highlighted was the superior temporal gyrus. According to the study, thegenres of music that a person listens to over a lifetime impact how the superior temporal gyrus is formed. While this doesn’t necessarily predict whether a person likes a particular piece of music, this part of the brain is involved in storing templates from what you’ve heard before, almost like a music recommendation system. 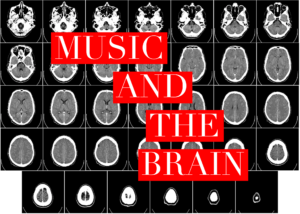 The great thing about this study is that it not only highlights the positive impact music has, it also highlights the important role it may have in helping to understand the brain. If scientists can use music to study which chemicals in the brain are involved in music listening and performing and in which parts of the brain they are active, it could pave the way to understanding neurological and psychological problems and possible cures. Nevertheless, for The Rock Project Berkshire, it reinforces what we see everyday in our classes. The utter joy and happiness that our students experience and the positive impact music has. We don’t need to conduct scientific research when this is presented to us in real time. We see that our students are happy, more confident and proud of themselves, stepping outside of the comfort zone they initially didn’t want to do. However, if we did have an MRI scanner to hand, we’d likely see dopamine release off the scale! Give yourself a test! Do you feel happy when you hear certain songs? Does it make you want to dance, smile, jump around? This is a wonderful gift to pass on to children and we are so lucky that we get to be part of this. 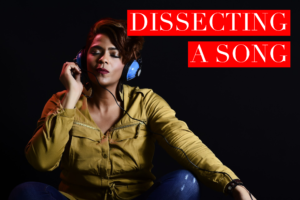 In line with our recent blogs on writing songs, song structure and the grammar of music, we’re now taking a look at how to dissect a song. The forensics of music is a key element of how we tutor, because we want our students to understand the bigger picture of a song and not just the role the instrument they play has, or the vocals if they are a singer. The interplay of the instruments, the voice, the melody, and harmony make a song, along with the lyrics and even the look, style and attitude of the artist or band. All of these elements create a reaction in a listener and make a song a hit or not. We’re teaching out students to actively listen to songs to gain a deeper appreciation for the music, and seeing what elements make the song great. However. We also teach our students that you don’t need a fancy studio and kit to be able to dissect a song and this is what this blog is about. The very first, and possibly obvious step is to intentionally listen to music. By this, we mean, try to pick out all of the different instruments. Listen to the song on repeat and focus on one instrument at a time. Listen to how each instrument plays off the other and take notes about what you hear, liked and even, disliked. We like to challenge our students and encourage them to listen to music out of their comfort zone. We get them to question what elements make that music genre different, or the same, as their favourite music style and, perhaps even, do they like it now? Songs are made up of pitch, duration, rhythm and tempo and recognising each of these elements is the beginning to understanding musical language. Identifying the patterns in song can be as simple as tapping your foot along to the beat. Is there a pattern with the instruments? Is there a drum sequence repetition? A guitar solo? A piano intro? We teach our students the vocabulary of music and it is very helpful to help dissect a song, knowing how all of the elements work together. 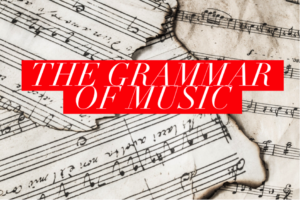 For more information, please see our blog on The Grammar of Music. Again, listening to a range of musical genres is a great way to train your ear and mind. Many classical pieces, written by composers such as Mozart and Beethoven provide a great way to learn and understand some of the terms. Our favourite three words – after Empower Through Music – are practice, practice, practice! One of the best ways to learn to recognise elements of a song is to experiment and play on your chosen instrument or to sing. It’s the best way to help understand how music works. Singing or playing along to a song helps clarify how that instrument fits into the structure of the entire song, which then becomes a naturally recognisable way to analyse. Many musicians purposely learn the guitar or piano, even the basics, in order to be able to experiment with different chords, rhythms and patterns. Lyrics are a very personal preference. Some listeners focus on the lyrics and like a song purely based on the meaning behind them, while others do not even focus on the words and instead are drawn in by the melody and instruments. Indeed, some songs are purely instrumental and therefore have no place in a song. Nevertheless, for those songs which have lyrics, which is the majority, we ask our students to think about the words – do they understand them? How does it make them feel? What happens to the song if they listen to it without the lyrics; does it have the same meaning? Are the words emotive or simply to add to the beat? Looking at it in this way opens up many questions and really helps to evaluate the lyrics. 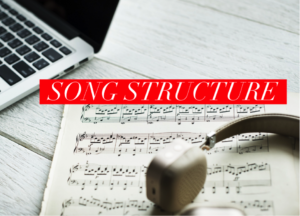 We’ve been teaching many of our students how songs are structured and how to formally set out a song – see our recent blogs – however, we have also been exploring the meaning behind a song and the connection between the lyrics, melody and structure. Our first approach has been to ask the students to think critically; trying to get them to think objectively about a song that they do not like and a song they love. We want them to take a stand back from the song and break it down. What is it that you do not like about a particular song – is it the words, the flow, the melody, the instruments used, the tempo? There are so many aspects to explore and the same goes for the songs they love. 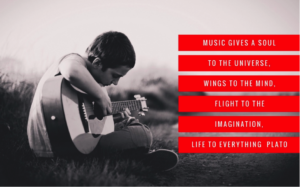 While we’ve been working with our students, we have found that it is often the lyrics and the connection it has to the music style and the personal connection the listener makes that makes a song a favourite. But when it comes to writing your own song, which comes first – melody, structure or lyrics? Ultimately, it’s a matter of opinion and personal preference. Some musicians start with a beat and the tune and fit in lyrics around the structure, while others focus on the lyrics and then fit the song structure and music around. There is no right or wrong way. Indeed, some song writers cannot even play an instrument but are fantastic lyricists and then collaborate with musicians to fit the song together. For many artists and, indeed, music lovers, the words can have a great impact and really touch our heart and souls. It may be reminiscent of an experience or it may be something you wish you had. 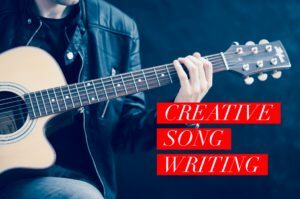 For many musicians and song writers this is a great starting point and can be something of a confessional that becomes a song which really connects with its audience. There is no set time scale to write a song. Some musicians take days and months, while others can find inspiration and creativity in minutes and hours. The main thing is to try. Repeat this. Practice it. Tweak it. Try again! This is something we make sure we teach our students – to always try and develop as learning continues. There are so many songs which really do speak to our souls and often, if you read the words without the music, many of them are beautiful pieces of prose. Poems that speak to your heart. How many times have you felt inspired or motivated from listening to a particular song, or felt that it’s synonymous with your own life experience? This is the magic of how inspiring and soul-feeding music is. 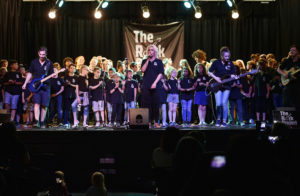 As we continue to encourage our students to write their own songs, keep a listen out – some schools are focusing on students writing songs to perform at the end of year concerts in July. We’ve been most impressed with the interaction and feedback so far and it’s an interesting journey discovering which songs are loved and an inspiration and which songs are reviled. Music is steeped far back in history, and appears to have always featured, even in a very primitive form. However, how do researchers know this? Well, it’s largely to do with the discovery of paintings and writings that have been left behind, indicating that from very early periods, music has been written down in one form or another. The evolution of how music has been written and how its own language has been created has significant developments throughout history, dating back to Ancient Greece in 600 BC, to our more modern musical language with horizontal lines, clefs, semitones and microtones. In Ancient Greece, Pythagoras used mathematics to understand the musical scale. He discovered that two notes which make an interval of an octave always have a ratio of 2:1. A perfect fifth is made with the ratio of 3:2, and a perfect 4th is 2:3. Combinations of these intervals then create the other notes which make up the major scale. Again, in Ancient Greece, the first known example of a complete notated song with lyrics and music was found written on a tombstone. Known as the Seikilos Epitaph, the Ancient Greeks labelled the notes of Pythagorus’ scale with letters from the Greek alphabet. Roman philosopher Boethius used the Ancient Greek texts regarding music notation, and also used letters to name the notes of the scale. Writing in Latin, Boethius used the letters from ‘a’ to ‘o’ (Roman letters) to represent the scale from the lowest note that a male voice can sing to the highest. Across Europe, monks sing religious songs known as ‘Plainchant’. Memorising plainsongs by heart, monks created a system called ‘neumes’ to sort and categorise songs, using flecks and squiggles written above the words to a song, to tell the singers when the pitch is rising or falling. In Italy, Benedictine monk Guido d’Arezzo began to draw a single red line on a page to replace neumes and represent a fixed pitch. Guido developed this system, adding extra lines and colours, creating the four-line stave. This period also sees the replacement of the squiggly neumes with square-shaped note symbols. Many manuscripts have been found showing the use of a five-line stave. Across Europe, written notes are developed to represent both pitch and rhythm. Note names were also created: ‘maxima’ for the longest duration of a note, followed by ‘longa’, then ‘breve’ (brief) and ‘semibreve’ representing the smallest length of note – the ‘minima’. During the 17th Century in Europe, notes are written in an oval shape and smaller notes have been introduced – ‘crotchet’ (quarter note) and ‘quaver’ (eighth note). This era also marks the introduction of bar lines to write and record music. The bar line represents units of time and divides music into measures of notes and rests. Each measure has a specific number of beats — most commonly, four beats, which creates a pattern to organise the writing and reading of music for both the composer and the performer. As Baroque music evolves into Classical music, notation begins to incorporate symbols such as staccato and slurs, and letters for dynamics (p and f). The number of clefs is also reduced to the three/four that we continue to use in modern scores – the G clef (treble), the F clef (bass) and the C clefs (alto and tenor). Musical notation continues to evolve, such as the introduction of microtones, and will no doubt continue as with all written languages. It provides the foundation on which to be creative and is only limited by the composer’s creativity and imagination. Play on! In the first of our two-part look at how a song is structured, we explore how a song can be set out. Look out for our next blog, which will take a look at musical punctuation and what is used to help the song flow. We all have our favourite songs and listen to them repeatedly but have you ever really thought about the construction behind it? While instruments and lyric really make a song, there is actually a structure behind most songs, with sections arranged to express the songwriter’s creativity and emotion. This simple structure can then be adapted – except usually the intro and outro, although that is not a hard and fast rule – to fit the songwriter’s needs. There are many variants of this classic pop structure. For example, ABCABCBC, containing verse1/bridge1/chorus1/verse2/bridge2/chorus 2/instrumental (usually based on the bridge)/chorus 3. Other structures can be completely different, for example, Somewhere Over the Rainbow, which has the structure AABA: verse 1/verse 2/bridge/verse 1. Or, entirely unique as in Bridge Over Troubled Water by Simon and Garfunkel, with an AAA structure. Often more old-fashioned examples include ABAC, Moon River, or ABCD, found in Rodgers and Hammerstein’s You’ll Never Walk Alone. More modern songs really mix up the structure and use the chorus as the intro, When You Were Young by the Killers. The other notable structure of a song is its length. 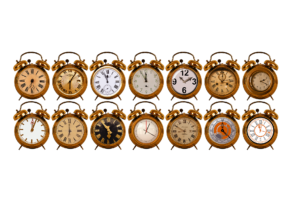 The most popular song length for radio play is three minutes 30 seconds, with three minutes being the optimum time to make the song memorable in a listener’s mind. However, as with song structure, it really is down to the creativity of the song writer but song length can be traced back to the beginning of recording music. From 1858 to the late 1950s, recorded songs were called a ‘78’ because it spun at 78 revolutions per minute (rpm). This also limited the length of the song, because only so much music could fit. At speed 78, songs came in two sizes: 10-inch that held three minutes of music and 12-inch that held four. However, in 1949, the record company RCA introduced a 45 rpm disk that quickly overtook the 78 and made it obsolete, largely due to being made of vinyl instead of shellac, which made them more durable, portable, cheaper to make and consequently cheaper to buy as the pop music revolution began and teenagers were the largest consumer market. Still at an average length of three minutes, this launched the concept of a ‘single’, as for a band to get its songs played on the radio, it needed to have a 45. The songs that came out immediately after the creation of the 45, defined pop music for decades, with all of Elvis’s singles sold on 45, as were the singles of The Beatles, The Rolling Stones, and Pink Floyd, for example. Despite the technological advances we have today, with digital downloads, the average length of a song remains at under five minutes and generally three minutes 30 seconds. However, there is always an exception to the norm. Examples of extended song lengths include The Chemical Brothers with Galvanise at 6.34 minutes, Fatboy Slim with The Rockerfella Skank at 6.53 minutes, and Muse with Knights of Cyndonia at 6.03 minutes. However, older artists have recorded longer songs with both Rush and Jimi Hendrix with 20-minute-long songs, while Pink Floyd, Led Zepplin, and Bob Dylan all have 10-minute songs. Over seven thousand years ago, the first drum was allegedly created, and even more astounding than that, it was most likely the first ever instrument. Indeed, the drum really is an instrumental – sorry for the pun – part of music culture, from popular music to religious and military ceremonies. The first very simple types of natural made drums have been found in many archaeological digs, with the first example located in 5,500 BC in Neolithic China. This primitive model of wooden shell covered by stretched alligator skin, was largely the template for drums across entire Asia, the Middle East and Africa, where drums were used for thousands of years. The first encounter of European more modern design came during the reign of ancient Greece and Rome, who dispersed drums that were traded from Africa across central and Western Europe. However, despite this trade, drums were very rarely used in Europe and continued to only dominate Asia, the Middle East and Africa. However, this changed significantly after European armies came back home following crusades, with newly discovered knowledge and objects that marked the beginning of the European Renaissance. As trade across Europe developed, so did the influence of the drum as it made its presence as a main and secondary instrument in rhythm sections of both folk and classical music. The presence of drums in orchestras continued to evolve, until in 1909, the Ludwig Company introduced a true revolution – a foot pedal to beat the bass drum. 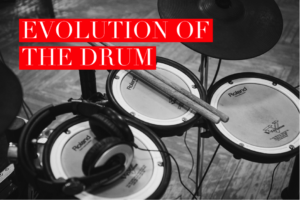 This marked the beginning of the modern drum kits that we know and use today, as the music of the roaring 20s and the jazz movement of the 30s developed. The drum kit hit a further evolution with the launch of rock n’ roll in the 1940s and, by 1960, the four-piece drum kit became commonplace in every rock, jazz and blues band, with many drummers tailoring the base configuration to their needs. This fabulous – and essential – musical instrument still continues to evolve. The technical evolution of the 21st Century has seen the introduction of more advanced electronic rhythm sections, resulting in many musicians making a significant move to computer-controlled systems. What’s next, we wonder, for this remarkable instrument? Prehistoric times – It is believed that drums made from natural objects were the first musical instruments used by modern mankind. 5500 BC – First recorded appearance of drums made from alligator skins. They were originally made in Neolithic cultures from China, but that knowledge reached across Asia in the next few millennia. 1200 AD – Opening of the Mediterranean trading routes by the Crusades brought incredible wealth to Genoa and Venice, enabling spreading of Middle Eastern, African, Indian and Asian influences over Europe. Among those new influences was also the use of drums. 1450 – Large expansion of various percussion instruments. These medieval prototypes became the basis of modern percussions. 1500 – African drums arrive in America via slave trade. 1800 – Popularisation of bongos in Cuban folklore music. 1920s – First regular appearance of hi-hat stands in drum kits. 1982 – Swedish group Asocial first used “blast beat” drumming technique. The term “blast beat” was popularised by metal bands Sepultura and Napalm Death. Late 1900s- early 2000s – Drums are an integral part of musical bands, with more and more electronic bands using computer generated drum sets. A typical kit is centred on the snare drum on which the player plays in time with the music. It has wires running across the skin stretched across the bottom of the drum, giving it a sharp sound that cuts through most other instrumentation. The snare is used in conjunction with the bass (or kick) drum, which sits on its side and is played with a foot pedal. 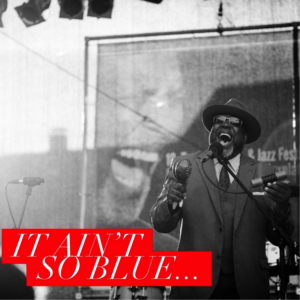 We’ve all heard of the Blues – BB King, Muddy Waters, The Blues Brothers (ok, technically not Blues masters but a great comedy) – however, the origins of the Blues are quite complex and it has been a continually evolving genre influencing many of our modern music styles such as Rhythm and Blues (RnB) and rock and roll. Think of Elvis’s early songs. While the Blues is often associated with life’s adversities and feeling ‘blue’, on the flip side, it also represents raucous dancing and fun, rising from the new generation of African Americans establishing themselves in society in the late 19th Century, after the abolition of slavery in 1865. The Blues originated in the Southern States of America in the early 1890s, where African slaves, ex-slaves and the descendants of slaves sang as they toiled in the cotton and vegetable fields, singing African spiritual songs, African chants, work songs, field hollers, rural fife and drum music, revivalist hymns, and country dance music. As slavery was abolished and African Americans began to integrate into society, the Blues music was performed in a variety of settings and styles with musicians often playing in ‘tent shows’ while accompanying travelling doctors, musical companies, comedians, magicians, and even circuses. Ballads would be played, as well as ragtime, Gospel songs, and folk tunes. As the twentieth century progressed, so did the Blues with bands evolving from early jazz bands, gospel choirs and jug bands. Jug band music was popular in the South until the 1930s. Early jug bands featured jugs, guitars, mandolins, banjos, kazoos, stringed basses, harmonicas, fiddles, washboards and other everyday appliances converted into crude instruments. However, by the 1930s, the Blues became influenced by other modern cultures and music, incorporating guitar, piano, drums and developing percussion instruments, including the introduction of the saxophone in the 1940s. No one person is really responsible for the Blues, however, minstrel show bandleader W.C. Handy is said to be a founder. He heard a man singing and playing guitar on the streets, pressing the blade of his knife on the strings. This made an impression on Handy, who described the performance as ‘haunting’. Using his talent and musical education, he copied the traveller’s 12-bar song structure with a few additions including flattened ‘blue notes’ and the Blues 12-bar structure was born. Handy was later commissioned to write a campaign song for the elections in Memphis, Tennessee and his twelve-bar opus was titled ‘Memphis Blues’. Through his continued work, he earned the title ‘Father of the Blues’. Traditional county blues: a general term that describes the rural blues of the Mississippi Delta and its local regions. Jump blues: a danceable amalgam of swing and blues and a precursor to R&B, pioneered by Louis Jordan. Boogie-woogie: a piano-based blues popularised by Meade Lux Lewis, Albert Ammons and Pete Johnson, and derived from barrelhouse and ragtime. Chicago blues: Delta blues electrified by amp-based instruments and particularly an amplified harmonica. Cool blues: A sophisticated piano-based form that owes much to jazz. West Coast blues: Heavily influenced by the swing beat. Other types of Blues include, the Texas Blues, Memphis Blues, and St. Louis Blues which all consist of a wide variety of subgenres. Louisiana Blues is characterised by a swampy guitar or harmonica sound with lots of echo, while Kansas City Blues is jazz influenced, for example, music from Count Basie. There is also the British Blues, a rock-blues hybrid pioneered by John Mayall, Peter Green and Eric Clapton. This quote pretty sums up what we all feel at The Rock Project Berkshire. The reason why Harmeet started the company, the reason we all remain so dedicated and the philosophy we continue to pass on to our students. Actually, let’s rephrase that. This is the philosophy we find our students bring to the classes. Each and everyone of them already knows this, even if it is not entirely transparent to them. We see this in the way they tap their foot, or sway in time with the music, or close their eyes as they feel that connection. The older ones often arrive with their headphones attached, humming along or head nodding to the music they are listening to and you can see the contentment in their faces and in their body language. However, not all children are lucky to get these opportunities. Teachers are under increasing pressure to focus on maths and English in primary schools to get children ready for SATs and, in the process, other subjects such as music get less and less classroom time. This is also the case in secondary schools, where children taking music GCSE has fallen to its lowest levels in 10 years. With this decrease, there are fewer children who can access music lessons and the sad outcome is that so many children are missing out on the potential to find themselves and shine in subjects outside of the core collection. Children are missing out on the opportunity to boost their self-esteem. Studying music does access the soul. While we teach the technical side of learning an instrument, we also promote that there is no right or wrong, it’s making music and feeding the soul. This can provide an instant self confidence boost, improving self-esteem and giving a buzz of pride and positivity. For many, this is the stress and anxiety buster they need, taking away the day’s, the week’s, the month’s stresses and worries. It also gives some students the release that at last they have found something they are good at. Something they get and something that ignites them. Contributing to a session and being part of a collective group, or essentially part of a band, gives students that sense of belonging. A rise in self-worth and a buzz that other people can see their self-worth. They make connections and are part of a contagious community, where everyone feeds off each-others’ positivity and it spreads like wild fire. 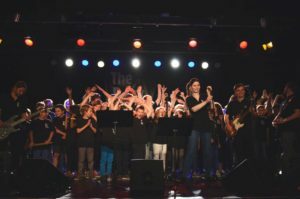 This is the bit we really love, when we can see that our students get it and begin to use their imaginations and see the connection between music and personal success, and that doesn’t mean being professional musicians. It’s about using music to give ‘life to everything’. It’s about using music to lift your soul and confidence and pride. Parenting is not easy but the one gift you can give your children to help them shine is access to music. A priceless gift that keeps on giving. We know we all say this every year, but where has the year gone?! We continue to be proud of our students and tutors and welcome new ones alike. We are proud of the new sessions we have started and the charity fund we continue to develop to help those children unable to access music lessons to do so. We cannot believe the level of talent and determination our students continue to show, so a big thank you to them and a big thank you to you parents for sending them and encouraging them. We hope you have enjoyed watching them develop as much as we have and possibly shed a proud tear at the Summer and Christmas Concerts. We continue to have big plans for 2018, so watch this space! So, what better way to finish rounding up the year than with some funny student-isms followed by some awesome success stories! Tutor (Stuart Barker): Which country did reggae music originate? Tutor (Stuart Barker): We have some new tutors – this is George. Can anyone think of a famous George? Student: The shop at ASDA? Tutor (Stuart Barker): Where was Wolfgang Amadeus Mozart born? I’ll give you a clue – Where does that name sound like it’s from? Tutor (Stuart Barker): ‘Alecia Beth Moore’ is the real name of which female pop artist – Pink or Madonna? Tutor (Stuart Barker): Did you know Michael Jackson couldn’t read music? Can anyone tell me what his nickname was? Student: The guy who couldn’t read music? Tutor (Stuart Barker): Where was metal created? Student to tutor (George Twydell): can you play something… good? A guitar student one week, completely out of the blue, achieved the skill of being able to play a bar chord (a complex chord shape) perfectly. One tutor’s (Jo Alden) student successfully transitioning from Juniors up to Seniors and thriving. We wish you all a very Merry Christmas and look forward to welcoming you back in the New Year!